An impressive new discovery in the Azores Islands occurred in early May 2013, and was announced to worldwide media coverage on September 19th. This unusual discovery took place by sheer accident. 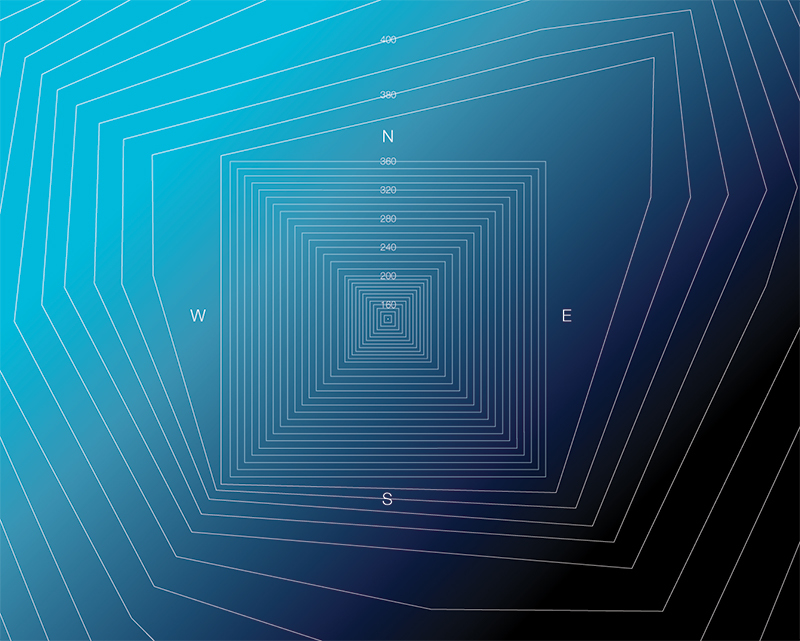 When local yachtsman Diocleciano Silva was deep-sea fishing between São Miguel and Terceira Islands he noticed a perfectly geometric formation on his high-accuracy depth-finder device.Silva’s video of the odd sonar data reveals a large pyramid with 4 perfectly flat faces like those of the Great Pyramid. 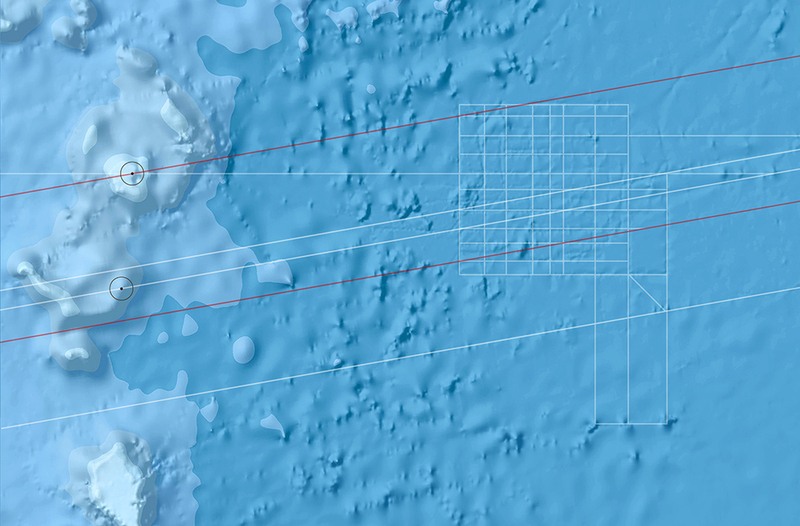 Obfuscation of the actual height of the sunken Azores Pyramid is designed to hide its close relationship and psychoacoustic calibration to the Great Pyramid of Giza, Egypt. Near 74m in height, the Azores Pyramid is exactly half the original height of the Great Pyramid, at 148m. In addition, the Azores Pyramid is the same height as the Teotihuacan Pyramid in present-day Mexico, and also appears to closely match the height of the newly discovered Hummingbird Pyramid in La Maná, Ecuador! 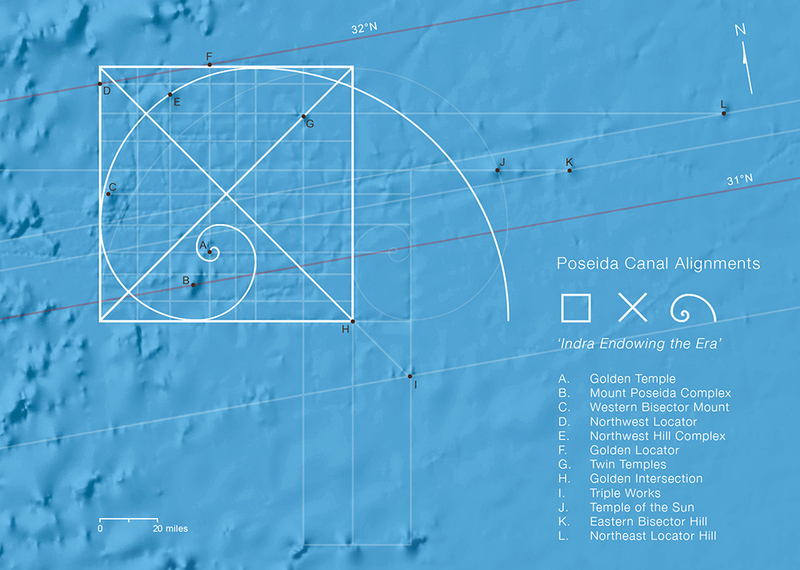 The submerged Azores Pyramid (38.22°N 26.21°W) is 3,284 miles from the Great Pyramid of Giza, Egypt, a distance that comprises 13.19% of the Earth’s mean circumference. This great circle alignment corresponds to 1/2 of Fibonacci #353 x 10-72(26.49…) and passes through another major holy site that is the destination of pilgrimages made from all parts of the world by devotees of the Buddha Dharma. 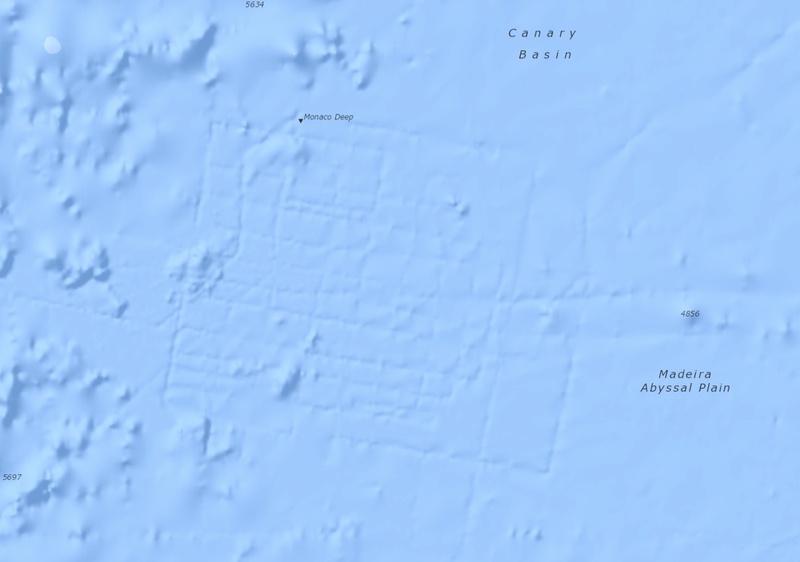 Despite loads of disinformation from Google, bathymetry maps of the Canary Basin leave no doubt that a canal-based megacity has been located nearly 3.5 miles down on the ocean floor, in the Monaco Deep (above). 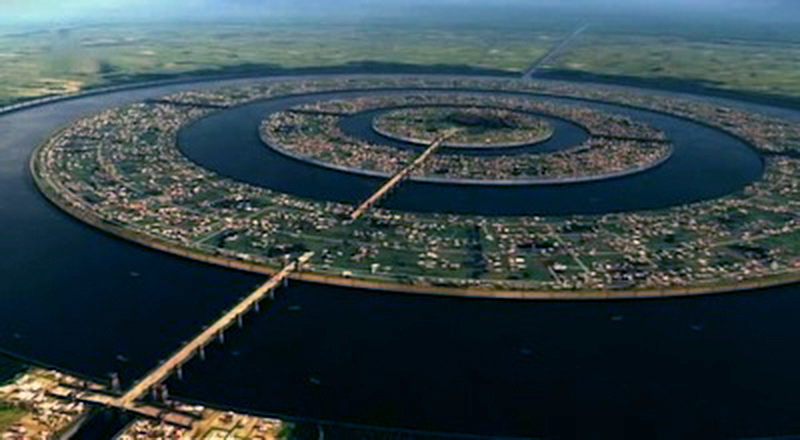 The silted landscape of this megacity may have been a lowland coastal flood plain of a once-thriving continent that closely corresponds to Edgar Cayce’s descriptions of the comet-stricken Atlantean land of Poseidia, later associated in Greek mythology with the deity of the ocean depths, Poseidon. 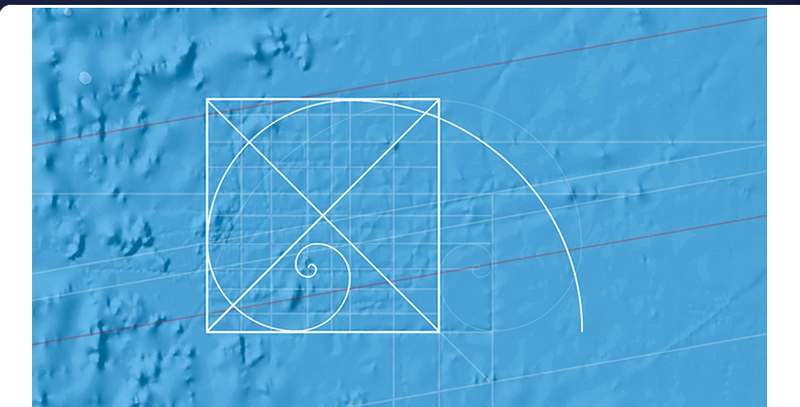 The Golden Rectangle’s Northwest Locator is 3,301 miles from Giza, also at the resonant 13.26% distance from the Great Pyramid.Being situated at precisely 32.00°N, the distance from the Northwest Locator to Mount Poseida at 31.00°N comprises exactly 1° of latitude. A Golden Spiral radiating from the apex of the Golden Temple passes through the Western Bisector Mount and the Northern Hill Complex. 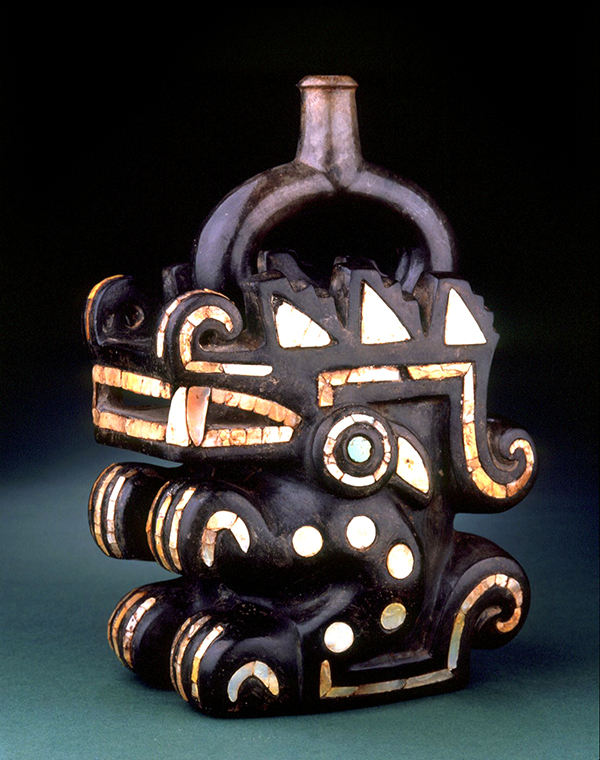 The design of the entire city of Poseida represents 3 Paleo-Sanskrit glyphs overlaid onto one another to give the short phrase: Indra ta cakra –“Jupiter endowing the era.” Imitating the turning wheel cakra glyph, the spiral glyph variation also signifies ‘the cycle, the era’, used here to reference Jupiter’s beneficial amplification of planetary infrasound resonance transduced by Poseida’s stone temples. Even though the era of Indra’s endowing ended catastrophically, Poseida’s gigantic set of canal alignments now beset on the floor of the Canary Basin still convey their embedded hieroglyphic message. In the active forces of these the entity brought destructive forces, by the setting up –in various portions of the land –the character that was to act as producing the powers in the various forms of the people’s activities in the cities, the towns, the countries surrounding same. These, not intentionally, were tuned too high –and brought the second period of destructive forces to the peoples in the land, and broke up the land into the isles that later became the periods when the further destructive forces were brought in the land. 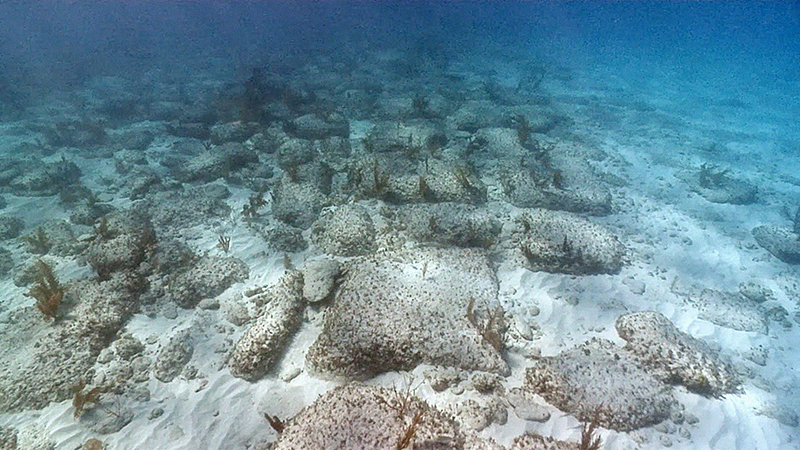 Exploration dives in the vicinity of the primary Bimini Road formation have uncovered a host of other artificially constructed features below depths of 100′, including hundreds of coral-encrusted megalithic building blocks, large sets of columns, fluted marble building foundations and further stretches of megalithic roadways that have been exposed from beneath the constantly shifting sandbeds (above). 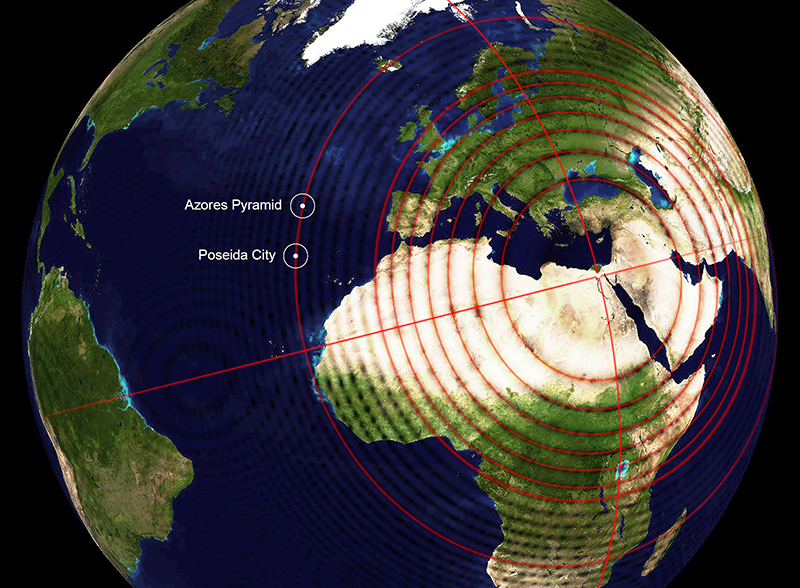 The geoposition of Bimini also corresponds closely to the Fibonacci-ordered distribution pattern observed at all pyramids, temples and sacred sites worldwide. 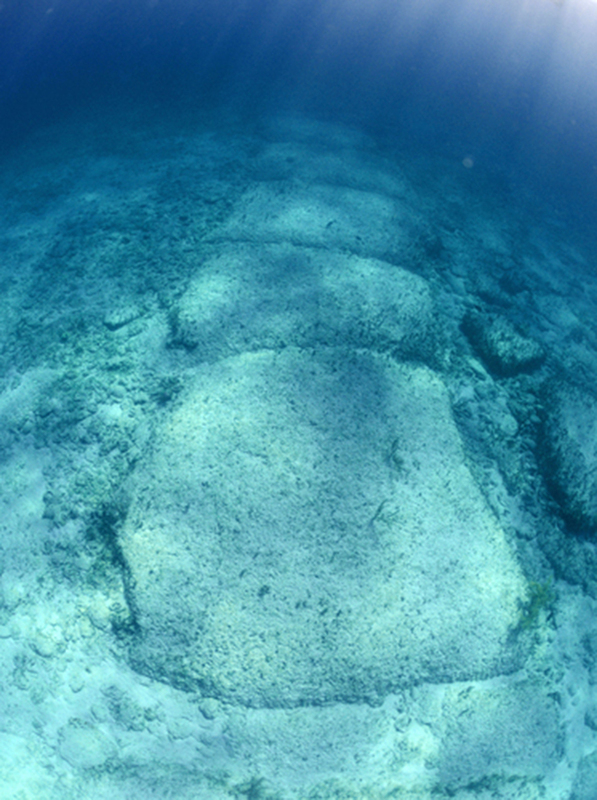 Bimini Road, Bahamas (25.62°N 79.31°W) is 6,454 miles from the Great Pyramid, comprising 25.93% of the mean global circumference. Focused infrasound rumbling at this resonant 26% great circle distance often perturbs residents inMcCalla, Alabama and Ranchlands, Alberta –and has even induced spontaneous piezoelectric fires in Homosassa, Florida. THE SUN AFFECTS ALL ASPECTS OF LIFE The sun affects our lives to a much larger extend than what we have been AWARE of so far. Since OUR SUN is heading towards a rare activity maximum, it is most likely that we will be directly affected. Undoubtedly our sun determines our life. Without our sun there would be no life on earth – the sun creates and sustains life . 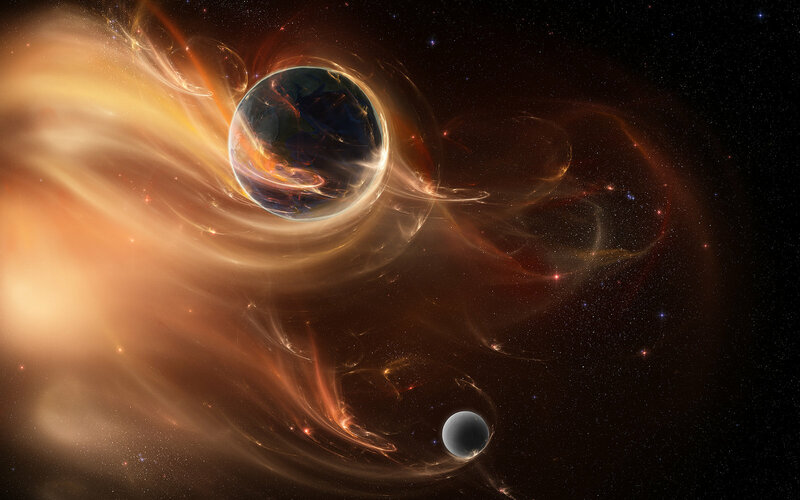 At this time, the Energies of Athena and Apollo were intiated into their New Era roles as the Guardians and Custodians of the Earth/Solar portals that connect the Earth with her Twin Flame Star, the Sun or Solaris. They were given the names Athena Solara and Apollo Solaris. Together they embody the Solar Energies of the New Sun, Solaris. Athena was previously the Archetypal Feminine energy of Wisdom and Strength, and also the Goddess of War. Now, as the New Earth rises, she is reborn as the Solar Divine Feminine Goddess of Light, embodying Wisodom, Strength, Compassion, Power and Peace. In the New Earth there will be no more war, and where the presence of Athena Solara is found, there she will shower the Golden Energy of Divine Compassion and Wisdom. After she was activated into the Earth’s Harmonic Field at the Solar Eclipse on the 13th of November, she immediately went to work to assist in bringing Peace through the Solar Light Codes of Compassion and Power to those areas where it was most needed. You may call on her presence and energy wherever you would like to bring Peace and Compassion, and the deep gentleness and power of the Light Consciousness of Athena Solara. Likewise, her partner Apollo Solaris, embodies the Light Codes of the Solar Divine Masculine. Apollo was always a Solar ar chetype, but in his new Archetypal role he becomes the embodiment of Light and Power, of Creativity and Manifestion and Joy. Where Athena brings Peace and Balance, Apollo enables the Creativity and Manifestion that will create the Structures of Peace that will form the New Earth. So, Dearest Family of Light, we would also speak with you about the work that we have engaged with together with Family of Light in 2012. We have worked to create a Grid system of Geometrical “Stars” or Merkabas, that Encode and Transmit the Higher Frequencies and the Intentions of Peace. These Stars were designed as Co-Creations with Family of Light, and their purpose is to strengthen the Field of Peace as the Earth transitions through the 2012 Portal and into the Multi-Dimensional New Earth. Each of these stars is a Sacred Geomterical Icosa-dodecahedron Crystal of Light, spinning at high frequency and transmitting the intention of their Creators, to bring Peace and Love to the New Earth and to the Cities where they are located. They work with Free Will and Choice, making the Light Codes available to those who would open their hearts and receive. The Stars are also linked together in a Star Grid that will asisst the Ascension of the Earth at the 2012 Portal. Beloved Ones, know that as the New Earth is born, the Paradise Codes that were activated in 2005 will move into Higher Activation and will begin to work also with the Great Cities of the Planet. It is in the Cities that Transformation is most needed, and the Golden Multi-Dimensional Citie will be focal points for the seeding of the New Energies and for New Ways of Living in Harmony with the Earth and all her Beings. At the 2012 Portal, the Star Grid will assist in activating the New Earth Light Codes for each of the Citie where the Stars were created, and in transmitting these Codes to those Cities who choose to make the shift into Multi-Dimensional Golden Cities of Light! Beloved Ones….it is indeed a most Wonderful and Exciting Time for All on Planet Earth! But we aks you to be aware, that there are many prophecies and “dreams” that suggest choas and fear, and it is necessary that you do not allow these to create an energy of anxiety and stress at this time. 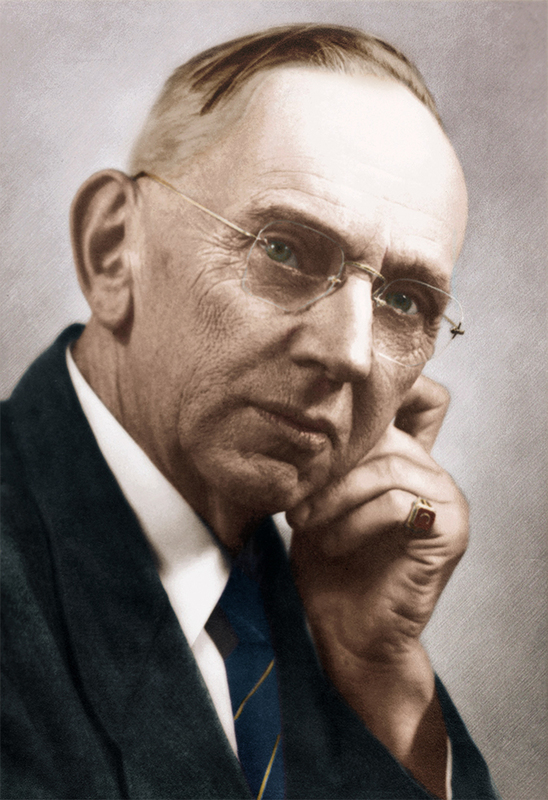 We ask you to turn away from fear and any who seek to create fear, and rather celebrate what has been achieved on your Earth and in the Galaxy! Those who are “seasoned” Lightworkers and who are on the Ascension 2012 Teams, may indeed feel very tired, even to the point of exhaustion. You are holding the energy for the great change in your Light Body and in your Body. You are transmitting the New Light Codes day and night, so yes, you may feel very tired, but it will pass as you emerge on the “other side” of the Portal. Imagine that you are holding the spaceship steady as she transits the stargate, and that it is hard work, but yes indeed, Beloveds, it is worth it! You may experience chaos in some way…chaotic dreams maybe…as the Collective Consciousness tries to deal with the Shift into Multi-Dimensional functioning. You may experience sleeplessness and anxiety and even a little depression and sadness as you deal with these energies, but focus on being within the Crystal Temple of the Heart, which is your own Sacred Space, and all will be Well! Yes…it is the End! The End of the Old Earth of lower frequency, which is slowly disintegrating like an old and worn out dream. And it is the New Beginning of the New Earth…the New Dream of Peace, Love and Abundance! 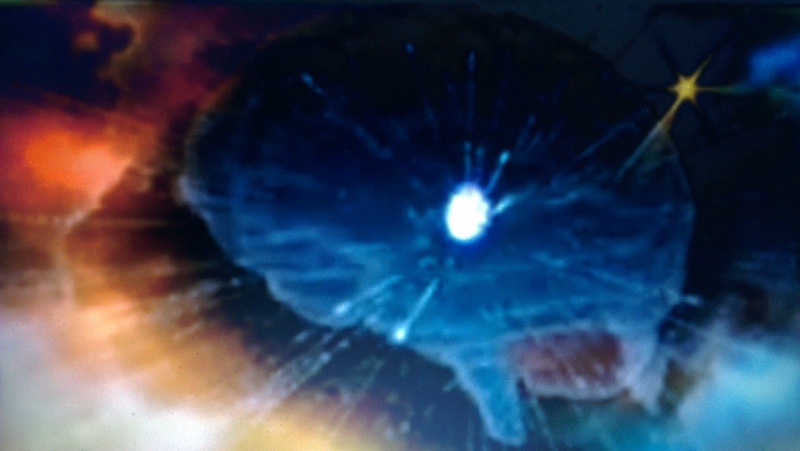 So, until we meet again on the “other side”…We wih you a Joyous Celebration of the 2012 Portal and Welcome in the Multi-Dimensional New Earth! Sacred Geometry DNA changes 2012 Mollecular Atom Consciousness | Evolution is Happening NOW! David Icke – We think we are Humans.